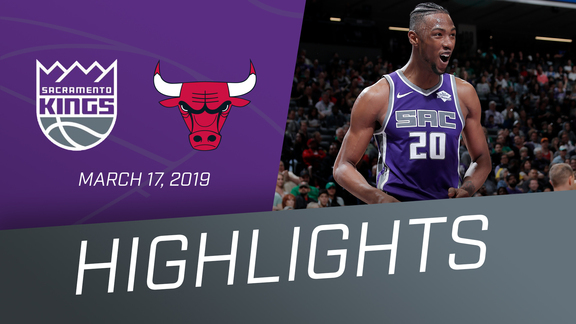 Take a closer look at the impact these players have made during their first season in Sacramento. Surrounding complementary pieces that contribute to success is a challenge every NBA front office faces when constructing a roster. This year, the Kings seem to have successfully found several pieces to fit the puzzle. Whether through free agency or trades, Sacramento has acquired players that have already made an impact in their limited time with the squad. Starting with this past offseason, Nemanja Bjelica and Yogi Ferrell were two key signings for Sactown. Bjelica was on the heels of a three-year stint with the Minnesota Timberwolves, mostly in a reserve role off of the bench. But with the Kings, Belly has asserted himself as a crucial component of the starting lineup. His ability to stretch the floor with his shooting touch has helped him in earning the starting nod in 66 of his 73 contests this year. In his heightened role, No. 88 is averaging career highs in points (9.5), rebounds (6.0), and assists (1.9), while also knocking down a reliable 40.2 percent of his shots from long range. Yogi has also earned an important role as the backup point guard behind De’Aaron Fox. Running with the second unit, the Indiana product provides both a scoring punch as well as a knack for playmaking - most notably his alley-oop lobs. Sacramento also signed Corey Brewer midseason to bring his energy and defense to the squad. No. 33 has had no shortage of either during his time with the Kings thus far and has also shown some flashes of his offensive game. In addition to the free agent pickups, Sactown added more help via trade. First was Alec Burks, who was acquired from the Cleveland Cavaliers in a three-team deal. 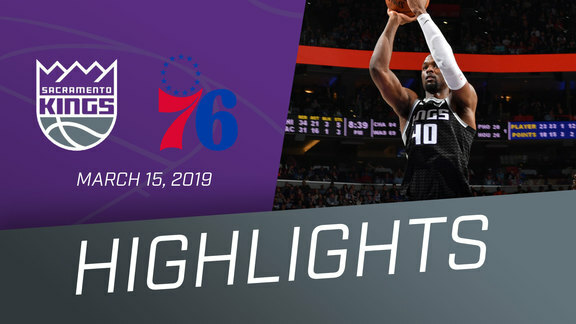 The eighth-year guard has added versatility and depth to the Kings roster, being able to function as a ball handler off the bench while also possessing a scoring touch. Rounding out the new faces is Harrison Barnes, who arrived near the trade deadline from the Dallas Mavericks. No. 40 has quickly asserted himself as a key player for Sacramento, starting in all 24 games since he’s joined the Kings. In those contests, he averaged 14.3 points, 6.7 rebound and 1.9 assists while also providing strong value in being able to play both forward positions for lineup flexibility. As the 2018-19 season draws to a close with just four games left on the schedule, this batch of first-year Kings will look to continue contributing to the squad to close the season on a high note.